AGM-77 Hound Dog Azimuth Alignment prior to launch. 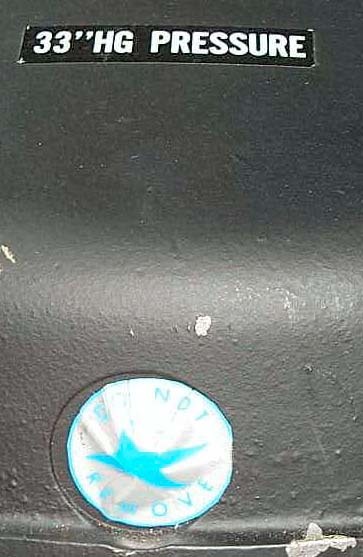 showing the location of each star. 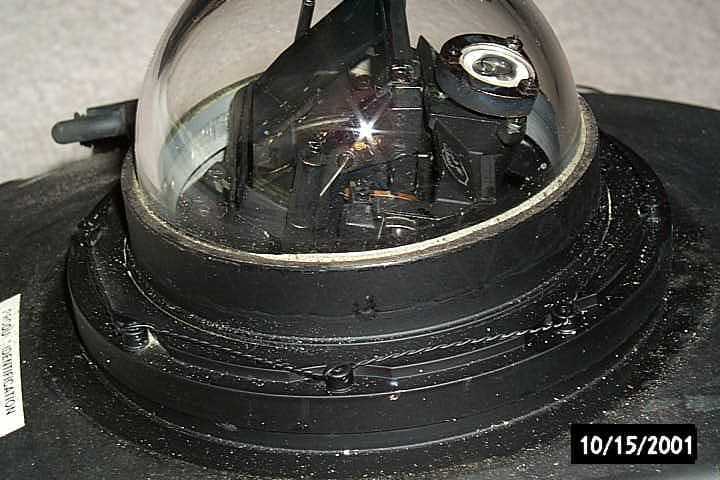 The Manual Astro Compass was replaced by the periscopic sextant which was replaced by the automatic astro-compass. This may have been the first in a series of star tracking instruments used in aircraft, missiles and space craft. 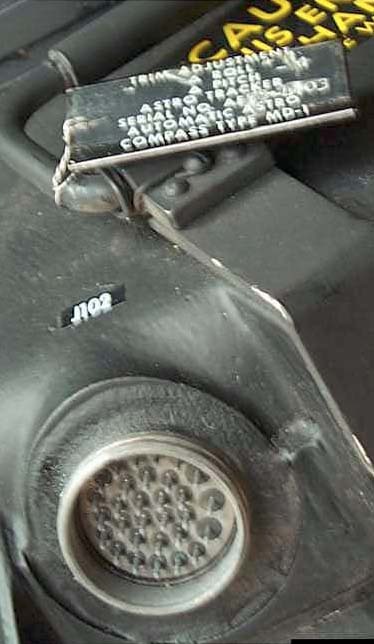 There are two very similar astro trackers, the C2150 00 003 and the D21550 00 001, what the difference is is unknown. 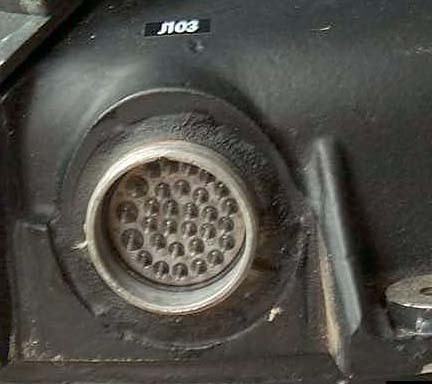 I have been told this is a part number A2157000004 with NSN 6605-00-658-2565. 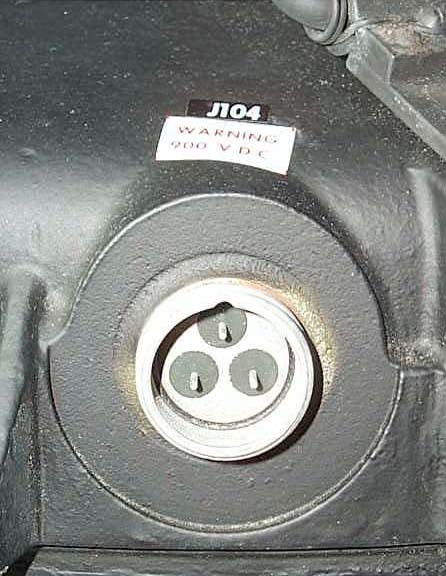 The part number D2155000001 version has a NSN of 6605-00-776-3234. R. S. maintained the MD-1 from 1967 through 1970, which includes the Viet Nam era. 18 Dec. 1972 bombing of N. Viet Nam was allowed. The Arc Light missions were flown from Thailand, Okinawa and Guam using B-52s with MD-1 capability. Nixon was a football fan and he named a later mission "Linebacker". The MD-1 was used on the B-52 C & D as well as in the E and F variants. 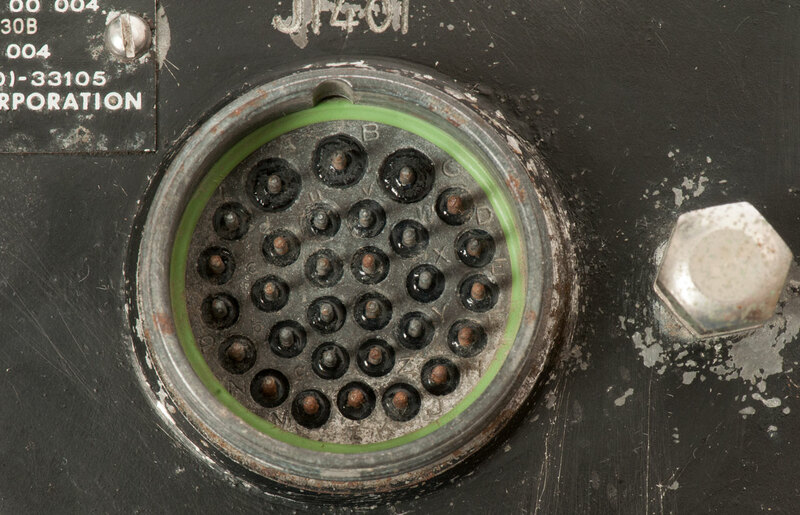 Many of the boxes that made up the MD-1 system were located in the right forward wheel well. Subjecting them to problems from slush from wet runways. One of the problems was the tuning fork that drives the clock would die. Being an analog system you could not just replace the tuning fork box, but also needed to adjust a number of pots. Another problem in the states was when a chew chief would scrape ice off the B-52 they would sometimes also scrape off the dome of the MD-1 and ask to have the dome replaced. Well you can't do that, the whole MD-1 needs to be replaced and properly leveled. The Hound Dog missile that was carried on the B-52 also used a smaller version of the astro tracker. Sometimes when the about 2 foot diameter MD-1 astro tracker was ordered, the one foot diameter astro tracker for the Hound Dog would be delivered. 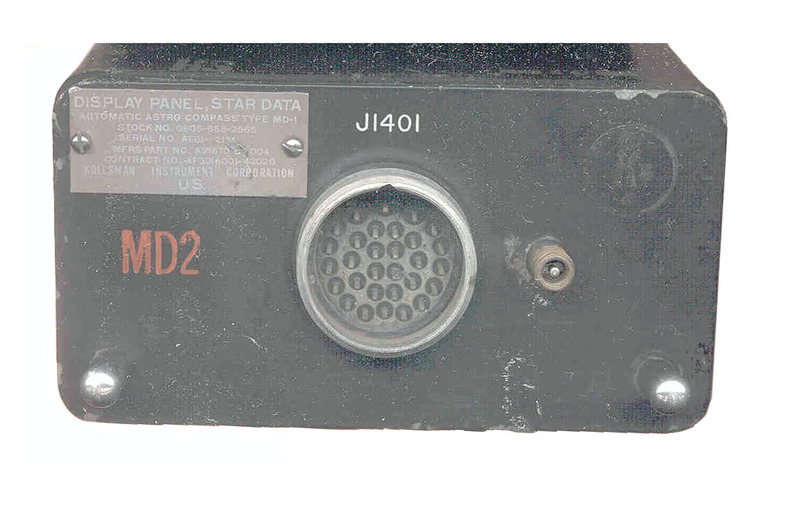 There was a star simulator that had 3 "stars" in known locations that could be used for testing the MD-1 system. When testing at night mag 1 stars were used since they were easier to lock onto. Lighting bugs were not a problem. Most of the time when a problem ticket on the MD-1 showed up it was do to lack of training, rather than equipment failure. There are B-52s on static display, that should have MD-1 systems at: Travis, Castle, March and Edwards fields in CA. 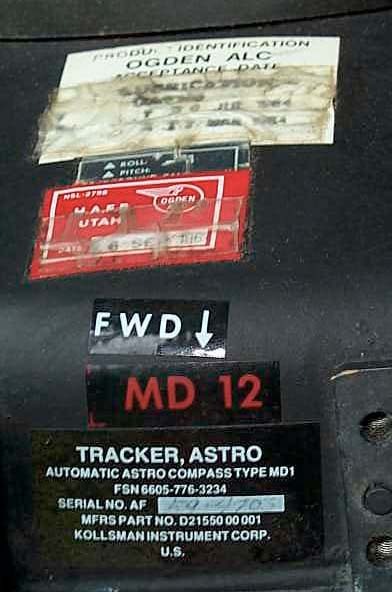 The MD-1 Astro Compass continued to be a source of trouble. 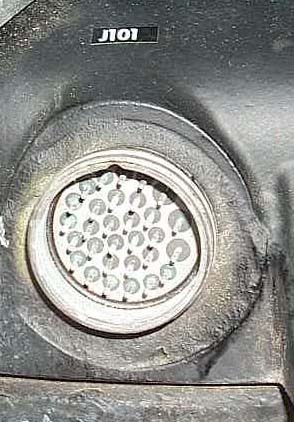 It was discovered that several of the small plug-in amplifiers had bent pins and socket damage due to misalignment of the sockets in the unit. However, this problem appears to have been cleared up by the vendor at this time. 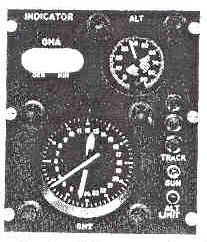 Another problem of the MD-1 System was the inaccuracy of the clock used with this equipment and the fact that there was no flight test tolerance for the clock. this condiditon was alleviated with the issuance of a flight tolerance and the installation of a new Tuning Fork and Time Standard Amplifier. Production - B-52G engineering was moved from Seattle to Wichita completed by 31 Dec. 1958. Flight Operations and Acceptance - 143 B-52 flight tests for 459:10 hours. Photoss - refuling During Maiden Flight of B-52G Stratofortress, zB-47 Stratojet in Water Injection Take-off. The capabilities of the system were classified. That's why the displays and some of the controls in the following images have been sanitized. 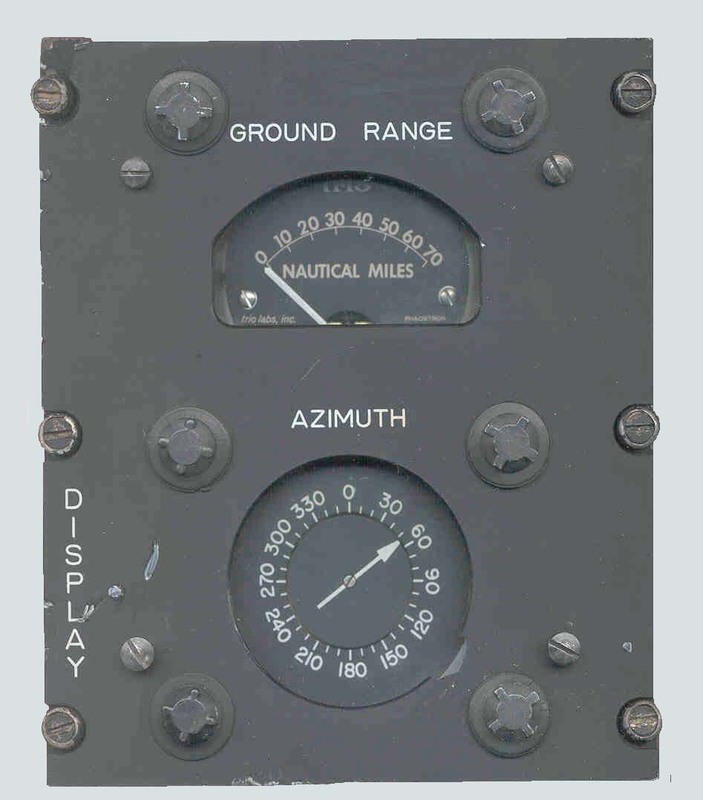 In addition to the above control panels there are 10 other ATR type boxes with the analog computer and other electronics boxes that make up this system. In this version an automated Star tracker looks out a clear astrodome on the top of a B-52E/F and tracks either a star or the Sun. 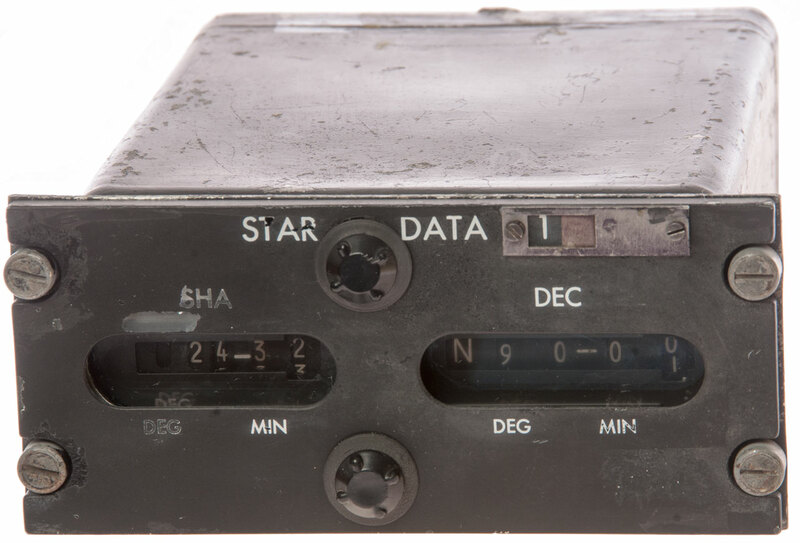 There were a number of star trackers built for many programs both for aircraft, missile and space craft navigation. 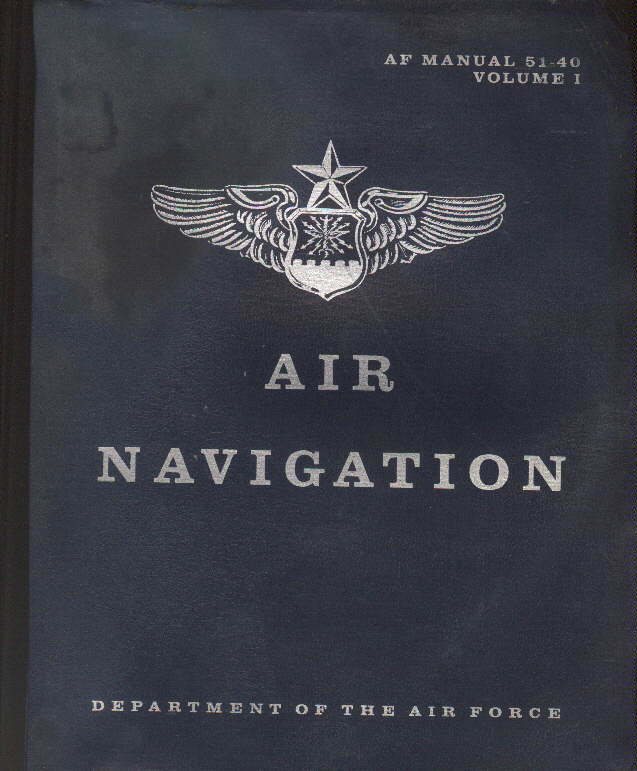 AF manual 51-40 Volume 3 Air Navigation (15 Apr 60) has a couple of pages on the MD-1: Cover, Part 1, Part 2, mentions "minutes of arc" accuracy. Done using an analog computer. Photographs of the instruments are not sanitized, so you can see more than on the photos above. This is just 2 years after the classified paper above and the capabilities are no longer classified. By inspection of the parts manual T.O. 5N15-2-2-4 some things can be learned. All of the parts listed below need some type of electrical connection. 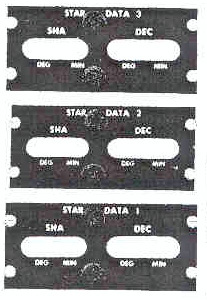 There is a minimal amount of electronic content inside the star tracker. 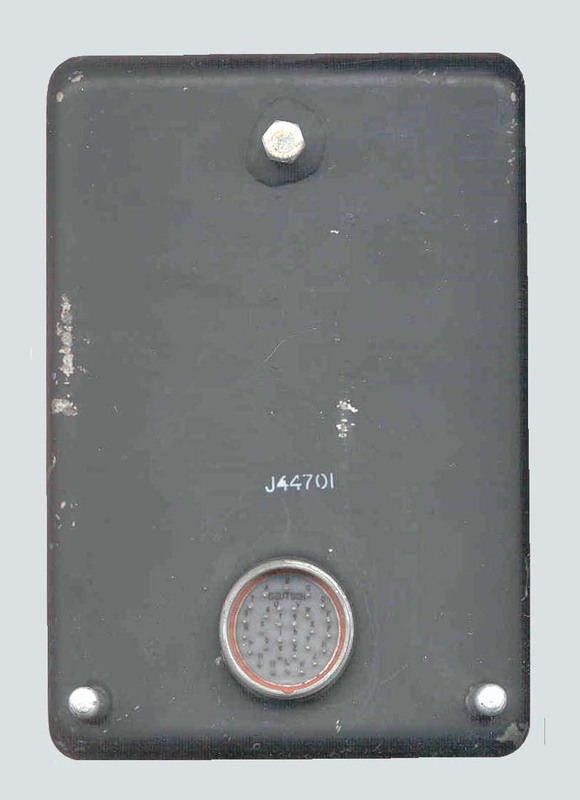 a single photomultiplier (fig 5-27) is used that looks like an octal based vacuum tube, maybe a 931 photomultiplier (Burle). the telescope assembly includes parts to aim in azimuth(rotation) and elevation (tipping the prism) but what are the rest of the items are for? T.O. 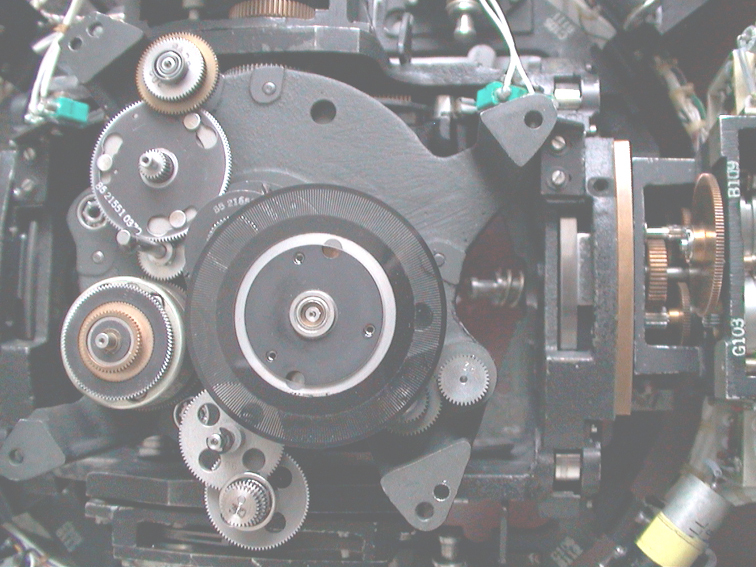 5N15-2-2-507 contains a modification that improved the operation of the MD-1. It is applied to the 3 kHz raster assembly p/n 85 21552 0370. This implies that there is an X-Y scanner in the system and would explain some of the active components above and the use of audio transformers. 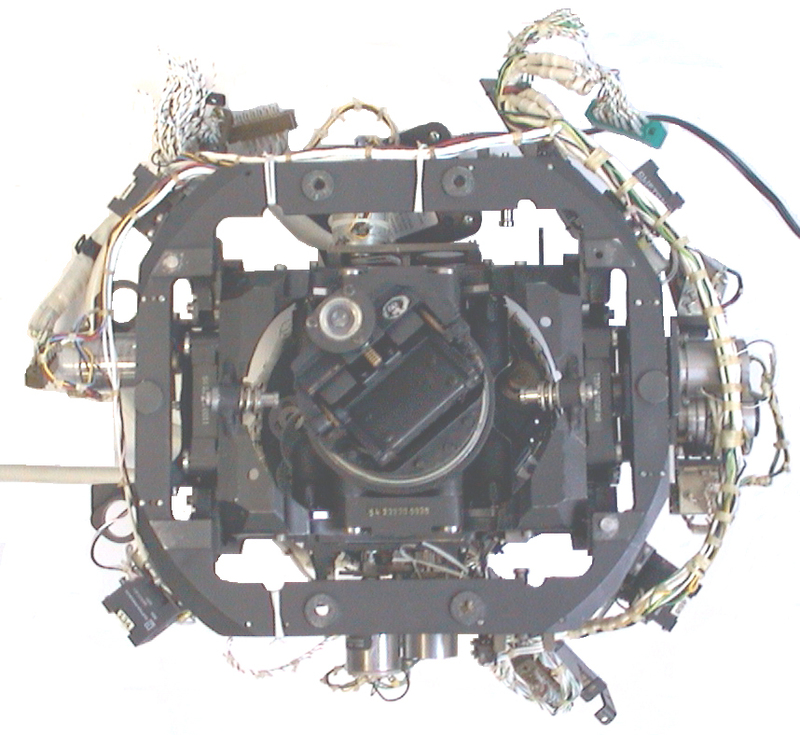 Tracker sub-assembly, photoelectric cell Fig 5 - metal casting that holds the photomultiplier, 2 ea transformers, cover that allows light into the center of the tube along the long axis. 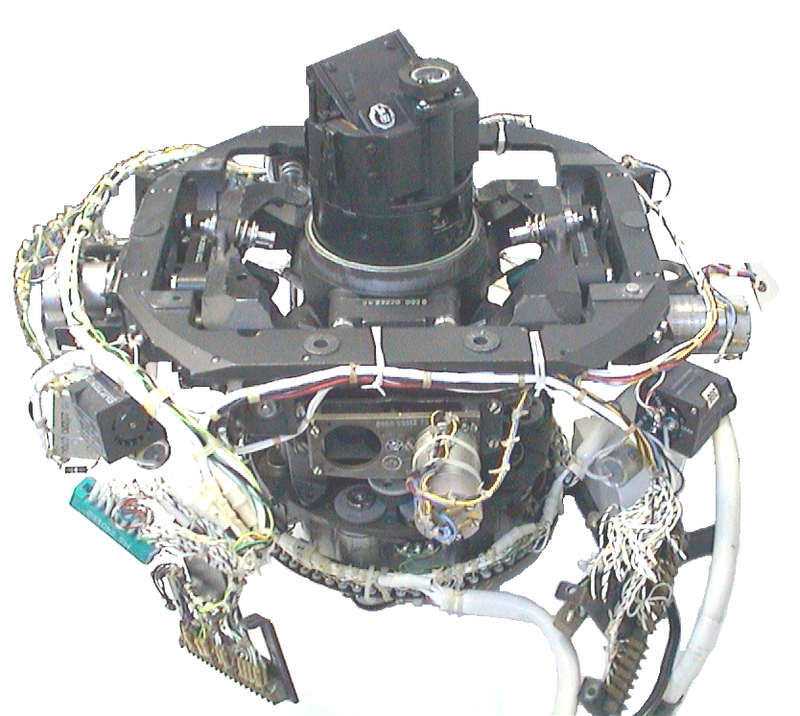 Gear Box Tracker sub-assembly Fig 6 - larger in diameter than the telescope with many electrical feed-through terminals around the outside. has the "raster". Also see the Stellar Timekeeping - patents. The original idea was to just track a single star when it was dark out. Then a problem surfaced at dawn and dusk there is an East West gradient in the sky background that causes an error in the early type star trackers. A number of solutions were found. The next step was to have a star tracker that would track a star in daylight. This requires optimizing the signal to noise ratio in the complete system. Three of the patents below are assigned to Kollsman, but which of any apply to the MD-1 remains to be seen. 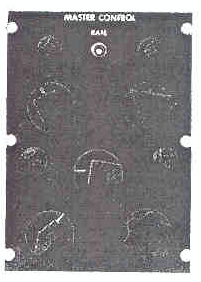 3246160 Photosensitive horizon scanner for space vehicle, Jacob S Zuckerbraun, KOLLSMAN INSTR CORP, 1966-04-12 - two circles with offset centers form the pattern. 3244896 Star tracker scanning system using a circular scanning pattern and a square aperture, Walker Burt, KOLLSMAN INSTR CORP, 1962-12-14 - with a square sensor the star image appears in all 4 corners, when it moves off center one of those images goes away indicating the direction of movement. 3127516 March 31, 1964 Star Tracker having adjustable scan dependent upon radiation intensity, bad USPTO pages missile? 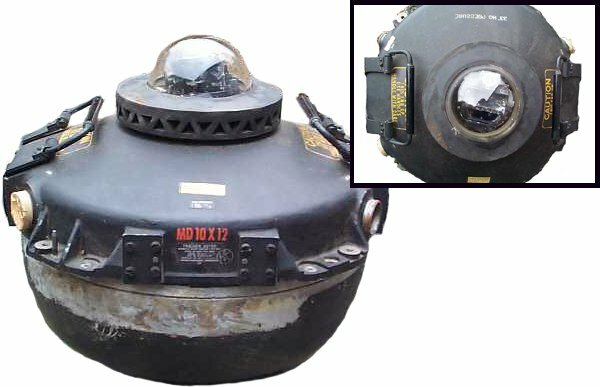 3117231 Jan 7, 1964 Optical Tracking System, U.S. Navy, sidewinder IR tracker? 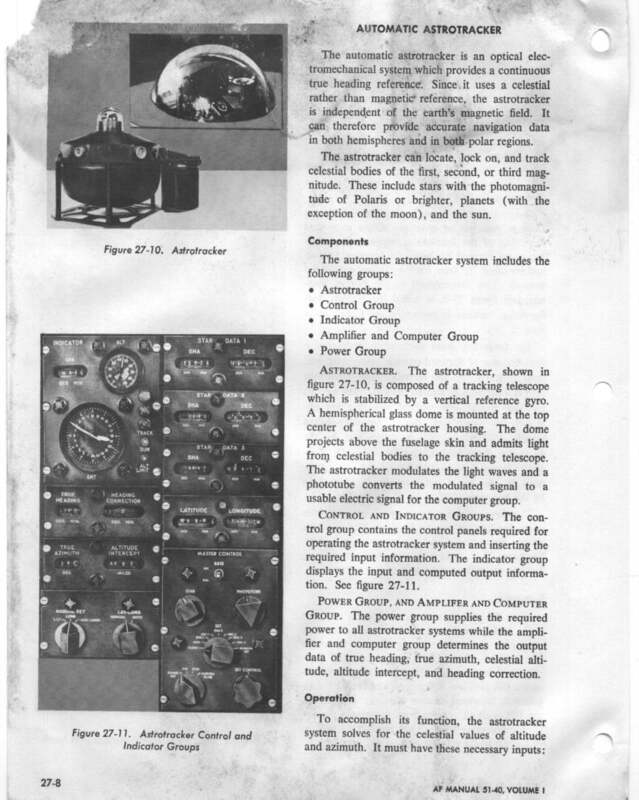 3100264 Aug 6, 1963 Star Energy Identification System for Space Navigation, Polarad Corp, amplitude frequency absorption spectrum used to identify objects in space for satellite navigation. 3042296 Celestial Data Computer, V.E. Carbonara & E.D. MacDonald (Kolsman Inst Corp), Jul 3, 1962, 235/61NV - part of MD-1? 2998529 Automatic Astrocompass (Kollsamn) (Sun in daytime, Star at night) 250/206.3 ; 250/203.1; 250/203.4; 250/207; 356/139.02 - part of MD-1? 2941082 PhotoElectric Automatic Sextant (Kollsman) 356/139.01 ; 244/3.18; 33/268; 356/148 - probably newer than MD-1? 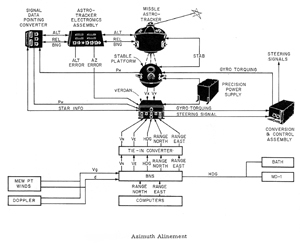 2922224 Jan 26, 1960 Navigation System Employing Star Heading Reference, General Precision Labs, "star tracker" a rotating wedge causes a sin wave output of the spot of light is off center and a DC output when centered. This appears to be the patent used for the MD1. Can track stars during both night AND day! Automatic star tracking. The construction is based on a sextant. 2102587 Solar Navigator, Dec 21 1937, Leon T. Eliel, use the Sun to fly an airplane in a straight line for map making. 250/233, 250/214.00R, 250/203.6, 250/350 - maybe development of the IR homing Sidewinder missile rather than for stars? When a telescope has a mirror at the objective end that mirror is rotated about an axis going through the centerline of the telescope, the image seen through the telescope also rotates. So, if the telescope was pointed up and the mirror was at 45 degrees to the telescope centerline, the horizon could be scanned, but only at one azimuth angle would the ground be at the bottom of the image. At an azimuth 180 degrees from there the image would be upside down. So for panoramic range-finders, panoramic telescopes, periscopes and sextants with panoramic capability something needs to be done to keep the image erect. If the schematic of the star tracker can be located or reverse engineered, then it may be possible to use the star tracker without all the other boxes in the system directly from a PC and using a custom made interface. North Atlantic Instruments - angle position indicators and realted equipment for synchro/resolvers, S/R simulator with 3VA output. 76CS1 will measure 8 chan & drive 6 chan with 1.2VA. There is also a program for the Palm Pilot called "astro compass". This uses the time and location of an observer to calculate some astronomical data. 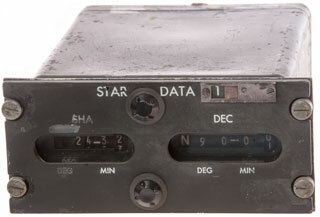 Kollsman later provided an Astro-Compass System (a combination mechanical, electro-mechanical and electronic analog computer system). This Astro-Compass System solved the celestial navigation problem by locking unto light from the sun in daylight hours, and to the intensity of light from stars in the darkness of night. Its gyro system was so sensitive, bench systems had to be installed on concrete pedestals several feet deep into the ground, to minimize disturbance from earth vibrations by the roll of 18-wheeler trucks riding highways ten miles away. BOMB/NAV - Guestbook & War Stories - people who worked on these. Convair B-58 Hustler - There was also a daytime-nightime Kollsman Instruments KS-39 astro-tracker which automatically tracked a preset celestial body via a photocell mounted in a telescope and was so designed that it held the observed body in the center of the field of view. Atop the stabilization unit, and protruding slightly above the skin of the fuselage, is the rounded cupola of the star tracker unit. 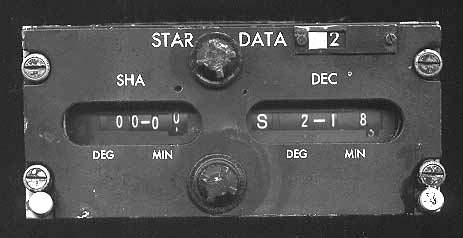 By setting on his astro control panel the Greenwich Hour Angle, the sidereal hour angle, and the declination of the sun or star to be used for navigational purposes, the navigator can cause the astro tracker to lock onto the heavenly body, after which it will provide continuous heading information to the computer. An Automatic Astro Compass by David B. Nichinson pg 182, 1958 issue of Navigation, Vol 6 # 3, pub by ION this paper has the above illustrations and a rough description of the astro tracker. 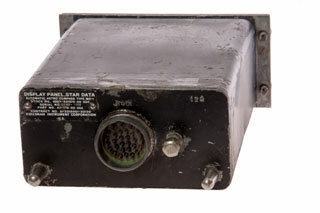 The N5G Hound dog missle also used the astro tracker. 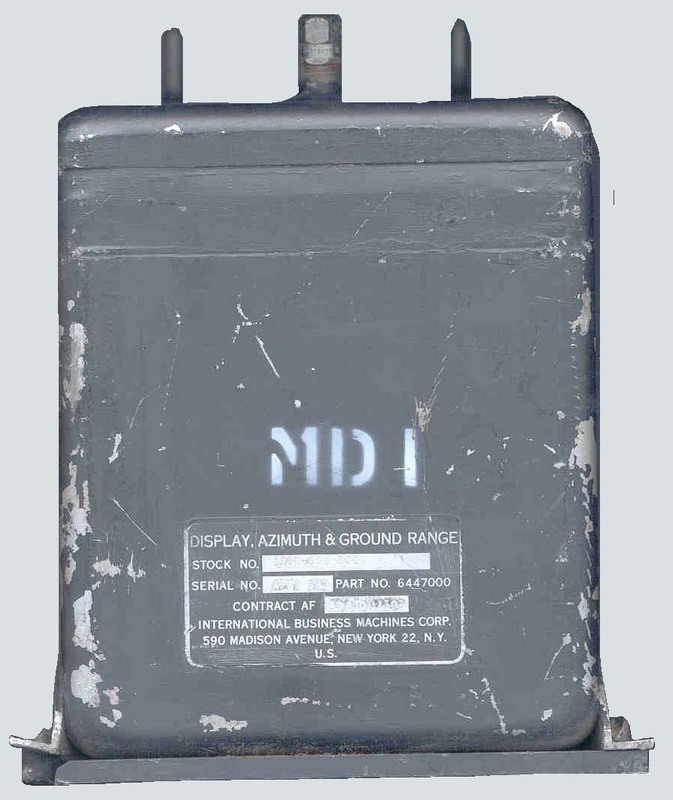 "For the AN/APQ-122(V)B radar, the stabilization reference could be manually or automatically switched to the MD-1 Gyros if the LN-15J (Litton INS Wiki) became unreliable or inoperative." The Navigator Vol 6 No. 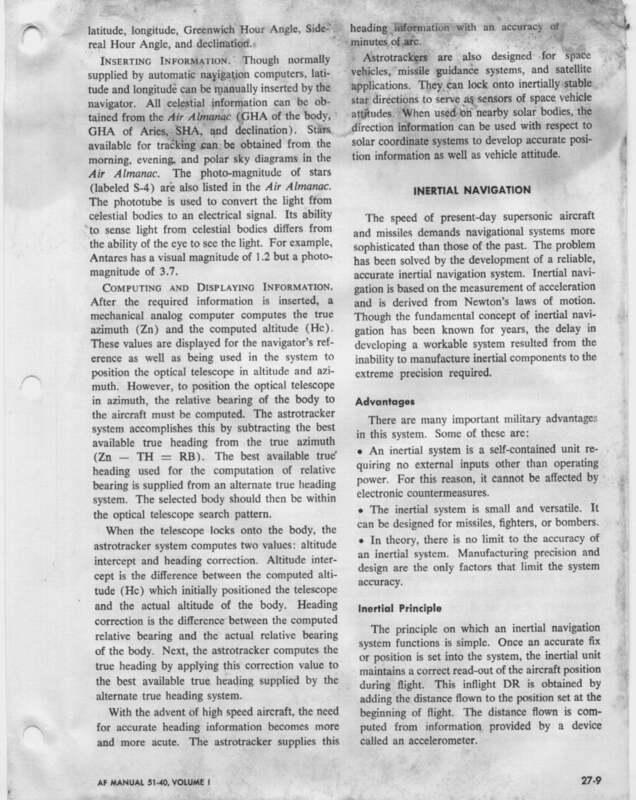 4 August 1060 pg 27 " MD-1" by major John K. Kelly, Jr.
"The ground and inflight operating procedures are extremely simple. The ground preparation of the equipment is accomplished in the following manner. Turn the power switch on and wait two minutes. Using a master watch or WWV time hack set and start the clock. Select the proper mode of operation (Sidereal or Solar) for the type of body to be tracked. Set up the proper GHA of the sun or aries from the air almanac. The GHA selected should agree with the time on the clock. Set the SHA as determined from the Air Almanac. For sun or planet tracking the SHA is set at zero. When selecting a star try to select a low rising or high setting body to provide maximum continuous tracking time. Also try to choose a star forward of the aircraft. Star tracking should be limited to stars between six and sixty degrees in altitude. Set declination of the body from the air almanac. The latitude and longitude information may be set manually in counters provided or taken automatically from the Bomb-Navsystem. The latter is by far the most desirable. The equipment is now ready to use in-flight for celestial heading reference, azimuth, and altitude intercept information." The Navigator Vol 7 No. 2 May 1961 " Keep it Automatic" Maj. Stuart E. Burtt, - " It might prove advantageous to develop a small, inexpensive, hand-held integrator to facilitate the use of theMD-1".